In May 2015, the Department of Home Affairs announced that those who had entered Australia by boat as so-called unauthorised maritime arrivals between 13 August 2012 and 1 January 2014 would be invited to apply for Temporary Protection Visas (TPV) or Safe Haven Enterprise Visas (SHEV). Before this, those falling within this category were unable to apply for protection. The application timeframe was tight, with applications needing to be lodged within 28 days after receipt of an invitation letter. Many of the clients we assisted through the Seeking Refuge Project were, or still are, on Class E Bridging Visas awaiting the outcome of their Protection Visa applications. A person on a Class E Bridging Visa is not entitled to receive any Centrelink benefits. 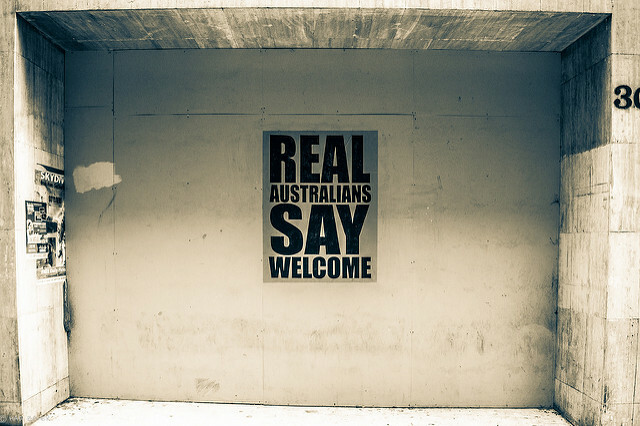 Although they are entitled to work, as mentioned, recently arrived asylum seekers and refugees often struggle to obtain consistent employment in Australia. Status Resolution Support Service (SRSS) Program payments were introduced in recognition of this. These payments financially assist those awaiting the outcomes of their claims for protection by providing a living allowance, approximately $247 per week. The program allows some additional benefits, such as access to casework support, counselling, and housing assistance. Nationwide, it is understood that as of February 2018, approximately 13,200 people were receiving the SRSS payment. Hurdles in obtaining employment including language barriers, lack of references and experience in the Australian workplace, mean that for many of these people, the SRSS payment is their only source of income. Beginning in April 2018, the Australian Government moved to reduce eligibility for SRSS payments. Because these changes were at the discretion of the Minister, they did not require government approval or legislative amendment. The Department of Home Affairs has indicated that asylum seekers will need to demonstrate a high level of vulnerability to be eligible. This vulnerability includes physical and mental health barriers, age, relationship status, family structure, and exposure to crisis events such as natural disasters. In addition, asylum seekers already in receipt of the SRSS payment who are deemed to be ‘job-ready’ but choose to study full-time, and those who send money to their families overseas, will lose their SRSS support. Together these changes have been estimated by the Refugee Council of Australia to affect 5,800 asylum seekers in Victoria, with approximately 250 people directly affected in the Barwon region. The changes will leave only about 5,000 or fewer of the previous 13,200 asylum seekers nationwide in receipt of the SRSS payment with continued support: a little over a third of the previous number of recipients. On 31 July 2018, a Mayoral Roundtable regarding the proposed cuts to the SRSS Program was held in Dandenong. An outcome of this meeting was a Mayoral Joint Statement that councils could sign to lobby against the increased eligibility restrictions. The Mayoral Joint Statement contains nine requests to the Australian Government in relation to needs of asylum seekers, such as adequate resources and timely processing. Overall, the Mayoral Joint Statement aims to provide more effective collaboration and coordination between Local, State and Commonwealth Governments in addressing this issue. City of Greater Geelong (COGG) has yet to sign this Joint Statement. At its core, the Mayoral Joint Statement is a commitment to endeavouring to ensure new arrivals to Australia integrate as healthy and productive members of our community through social inclusion and engagement, education, and housing. It is more than symbolic. In signing, the City of Greater Geelong would commit to allocating resources properly to relevant areas of identified need. Over the past few months, we have come together to prepare a letter urging COGG to sign the Joint Statement, as a commitment to helping those that have come to Australia and settled in the municipality rebuild and better their lives, and become integrated, contributing members of our community.